Gotland Excursion provide excursions for cruise ships and other groups that visit Gotland. Our guests are from all over the world. Gotland is Sweden’s largest island, and in many respects, almost like a separate country – an island of contrasts. Gotland Excursion offer excursion arrangements for Cruising Ship passengers and other vessel visitors. We also arrange complete tour package for Tour Groups, Business Conferences, Business Events and alternatively arranged tours. Our competence, flexibility, in-depth industry experience and local knowledge ensure the best possible tour package solution based on your wishes! 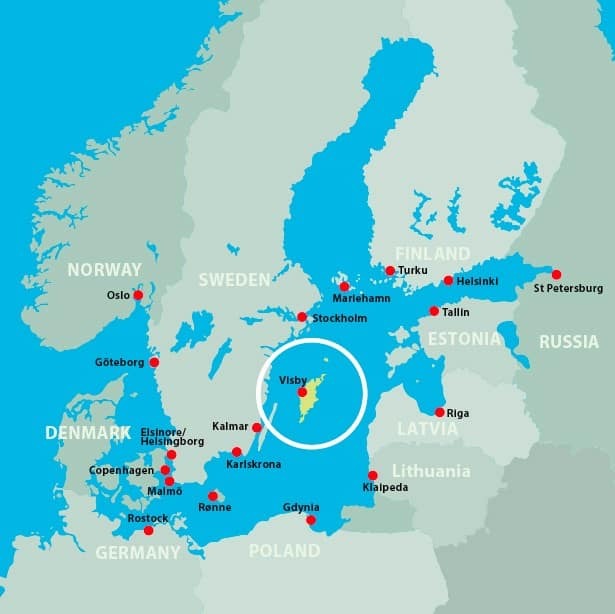 Our guests are from all over the world and we have authorized guides in 11 languages: English, Finish, German, Danish, Norwegian, Swedish, Spanish, Italian, Russian, Chinese and Estonian.